OFD Foods of Albany, Ore., is recalling approximately 197 pounds of beef hash. The product may be contaminated with pieces of rubber rubber. 3.88-oz. 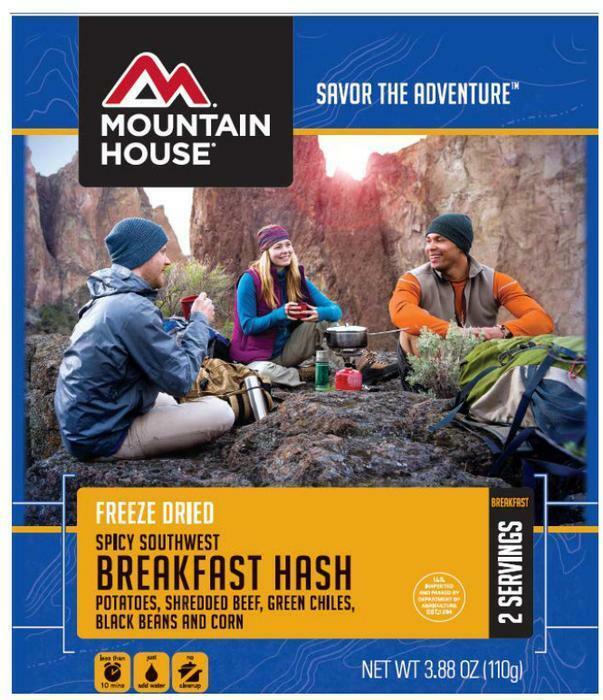 pouch of “MOUNTAIN HOUSE FREEZE DRIED SPICY SOUTHWEST BREAKFAST HASH,” with pouch code 3253174 and best by date of Dec. 2046. The recalled product, bearing establishment number “EST. 1394” inside the USDA mark of inspection, was shipped to retail locations nationwide and sold directly to consumers through internet sales. Customers who purchased the recalled product should urged not consume it, but throw it away or return it to the place of purchase. Consumers with questions about the recall may contact OFD’s customer service center at 1-800-547-0244.